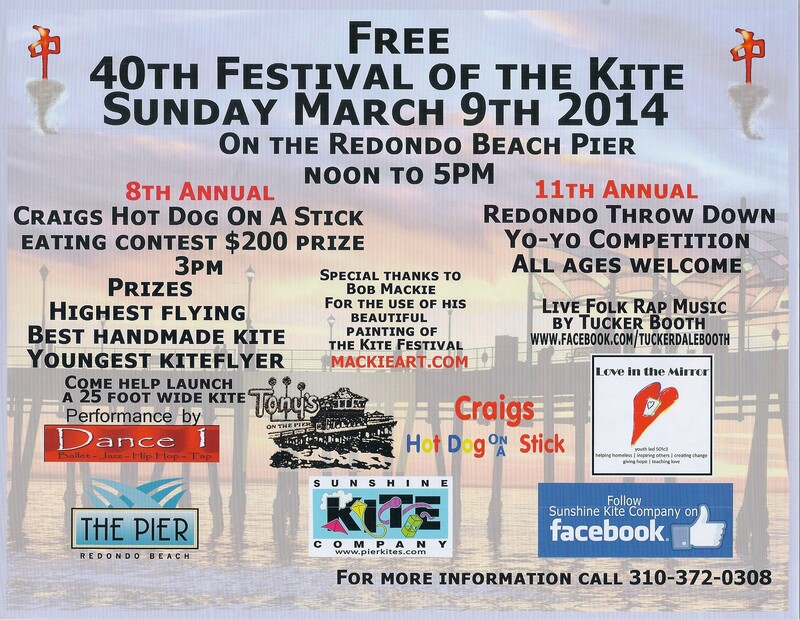 Redondo Beach Crab House | Best Fish Market on Redondo Pier! The LA Galaxy hosted a live world cup viewing party for the US vs Belgium soccer match at the Redondo Beach Pier’s Veteran Park on Tuesday July 1st. Thousands attended to watch on the jumbo screen and give support for the US national team, but in the end the Belgium team edged us out by a point. Our outdoor restaurant Portside Cafe has also shown all of the world cup games for our customers and we had a huge turnout on Tuesday as well. We want to give a big shoutout to all of our customers for coming out and supporting the US team and having a great time. Our own RBPD seemed a little concerned about the large crowd that gathered to watch here with us, but our customers kept their composure in the close loss. Thanks to everyone for keeping it classy and peaceful! Unfortunately, we’ll just have to wait four more years for another chance at winning the World Cup. 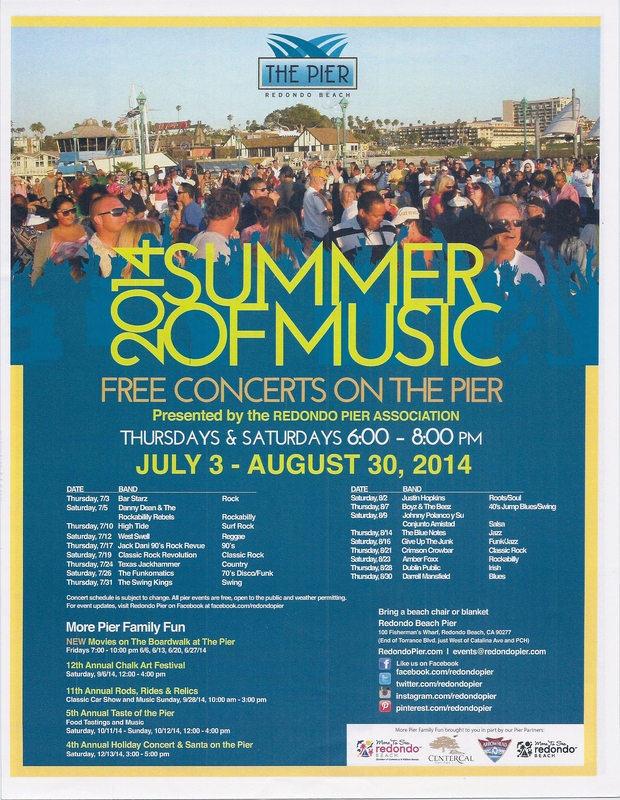 The Redondo Pier Association is presenting the annual free concerts on the pier here at the Redondo Beach Pier. 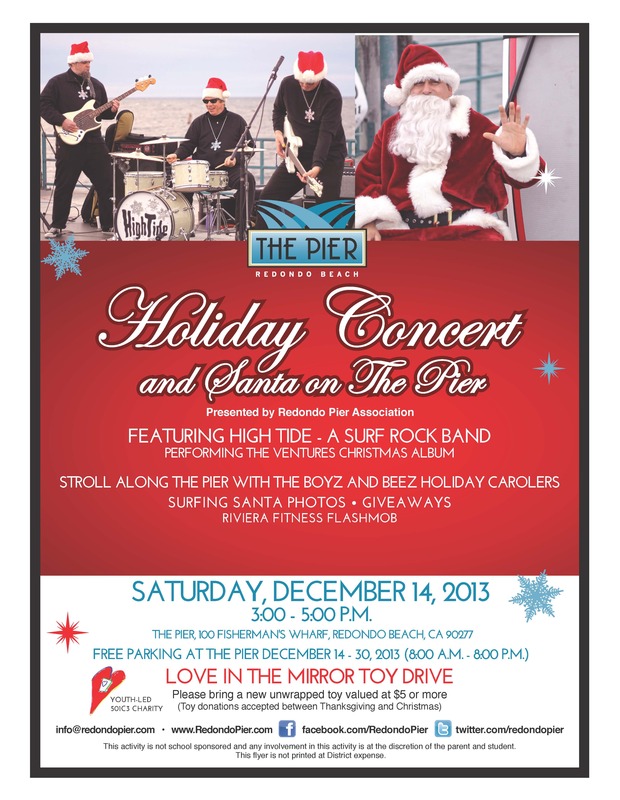 The concerts will be held on Thursdays and Saturdays 6pm – 8pm. The first concert will take place on July 3rd and the final concert will end on August 30, 2014. Be sure to come early as seating can be limited. You can also bring a beach chair and towels as well. The concerts have been a big hit amongst friends and families every year. 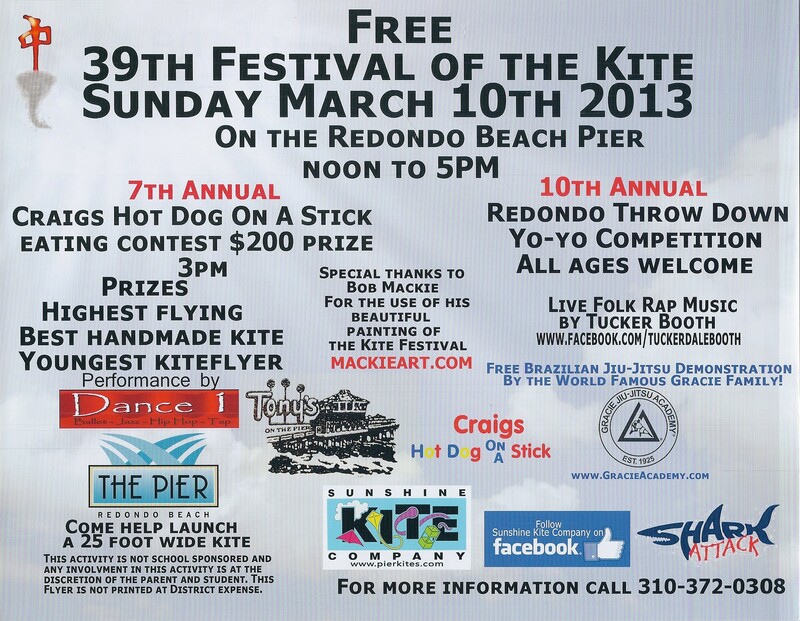 We would like to welcome our newest neighbors to the Redondo Beach Pier. 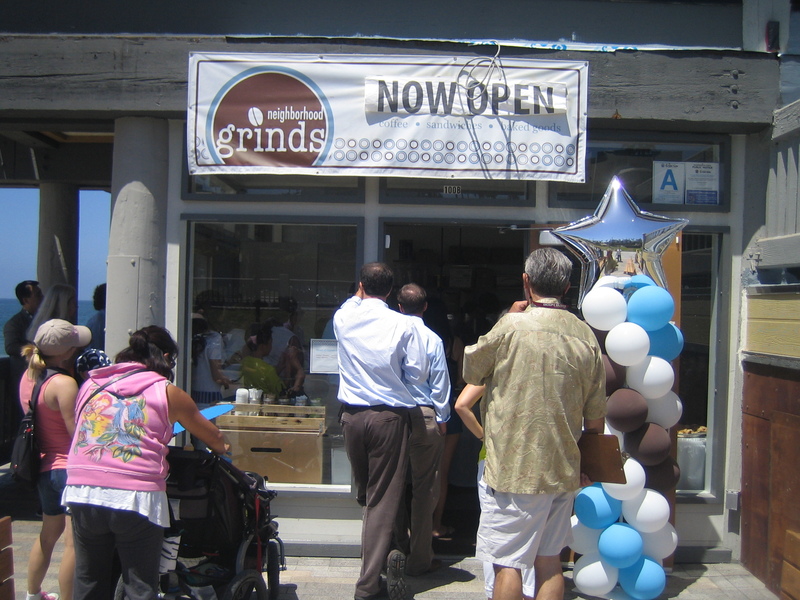 Neighborhood Grinds which is a local coffee shop has opened their doors in the newly renovated Redondo Landing building here at the pier. This is actually their second location. The first location is located on Artesia Blvd. Construction started last year and it took awhile but they are finally open. Make sure to visit with them and get some coffee as well as other refreshing items. 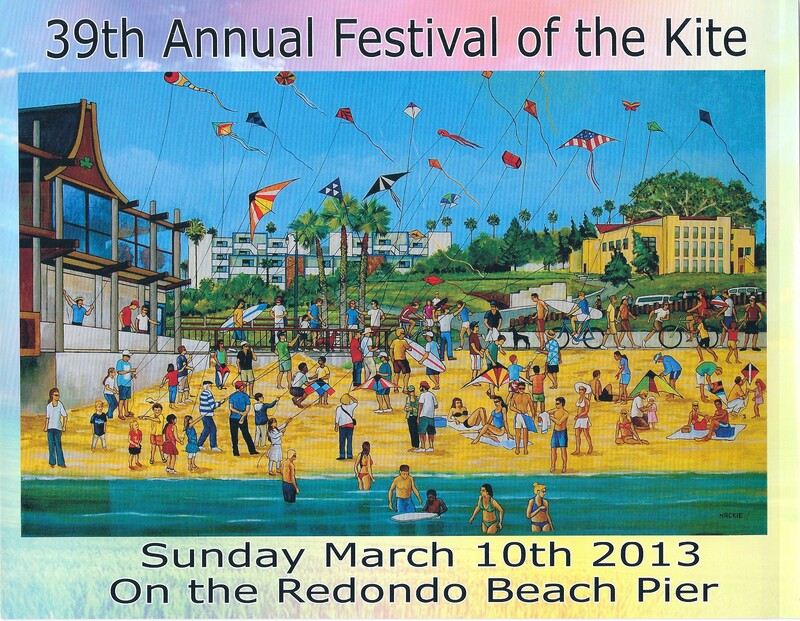 Thanks for bringing gourmet coffee to the pier!